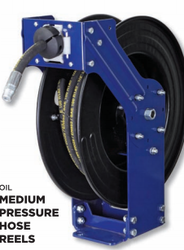 Our range of products include oil medium pressure hose reels, swv/hr/140 hose reels, metal hose reels, swv/hr/360 hose reels and grease high pressure hose reels. 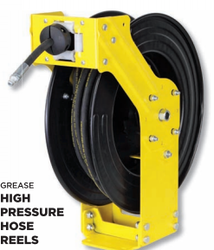 We are provider of Oil Medium Pressure Hose Reels. We are provider of SWV/HR/140 Hose Reels. 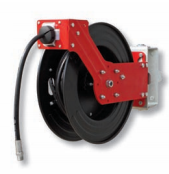 Our product array comprises of premium quality Metal Hose Reels. These hose reels are manufactured in adherence to industry-specified guidelines of quality by using the best components and raw materials. The hose reels offered by us are known for being easy to install and maintain. These are widely used by the fire fighting industry and are acclaimed for their easy and convenient installation and maintenance. These reels are known for their exceptional quality. We are provider of SWV/HR/360 Hose Reels.